The field of the biomedical applications of gas plasmas was first introduced to the scientific community at the IEEE International Conference on Plasma Science (ICOPS) in the 1990s. Soon after other international plasma conferences including the Gaseous Electronics Conference (GEC), the International Conference on Phenomena in Ionized Gases (ICPIG), and the International Symposium on Plasma Chemistry (ISPC) followed. Along with these conferences, several special issues dedicated to the biomedical plasma applications were published by prominent journals such as IEEE Transactions on Plasma Science, Plasma Processes and Polymers, and Journal of Physics D: Applied Physics. Based on the initial successes of this emerging field, later known as 'plasma medicine', several scientists came together and foundeed a new conference focused specifically on biomedical applications of plasmas - The International Conference on Plasma Medicine (ICPM). The first two conferences were organized by A. Fridman and G. Friedman and were held in Corpus Christi, USA, in 2007 and in San Antonio, USA in 2009, respectively. In 2009, a new scientific society 'The International Society for Plasma Medicine (ISPM)' has been formed to support the activities and interests of the growing plasma medicine scientifc community. 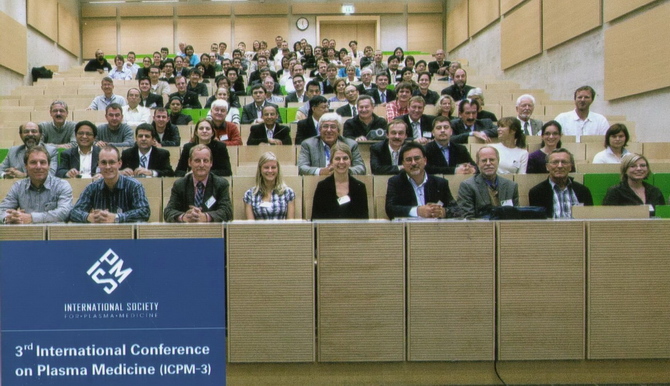 The following two conferences were organized on the European continent - ICPM-3 in 2010 in Greifswald, DE, and ICPM-4 in 2012 in Orleans, FR. After conferences in America and Europe, the ISPM voted for the next conference to be held in Asia: ICPM-5 was then organized in 2014 in Nara, JP. The upcoming sixth conference (ICPM-6) will be held in Europe again, this time not in its western, but rather the very central part - in Bratislava, Slovakia. Number of participants of the ICPM conferences, with details of the two previous ICPMs. 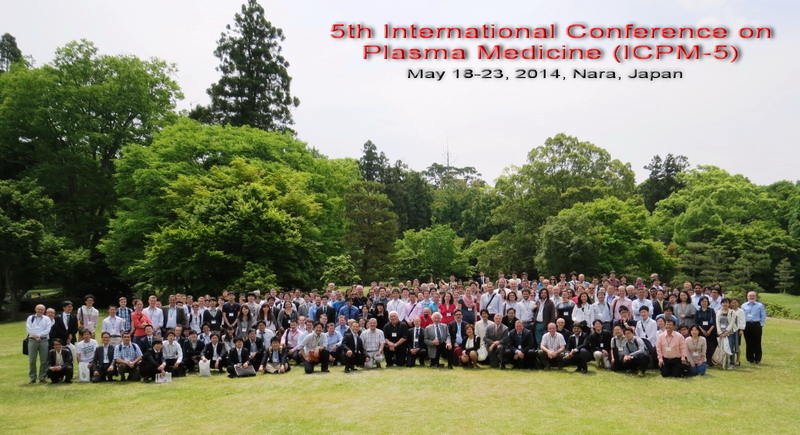 Group photo of the ICPM-5 conference (Nara, Japan). 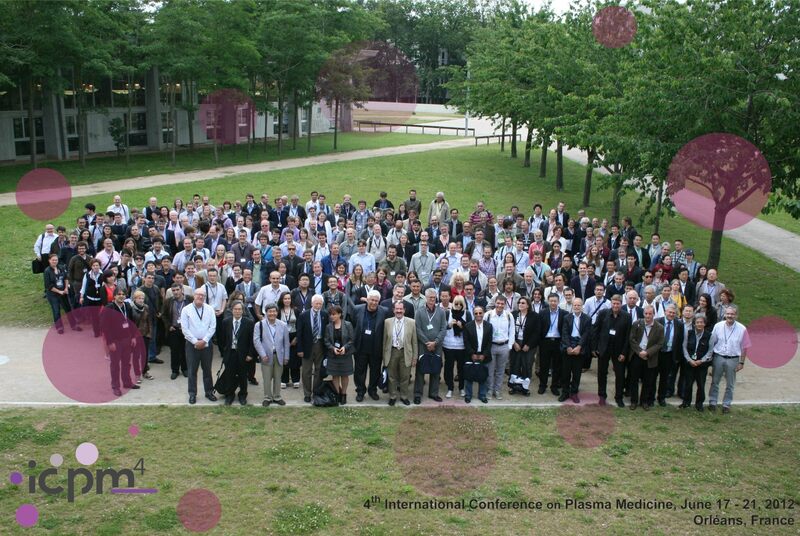 Group photo of the ICPM-4 conference (Orleans, France). Group photo of the ICPM-3 conference (Greifswald, Germany).